These images document a forgotten early-20th-century educational trend: the open-air school. 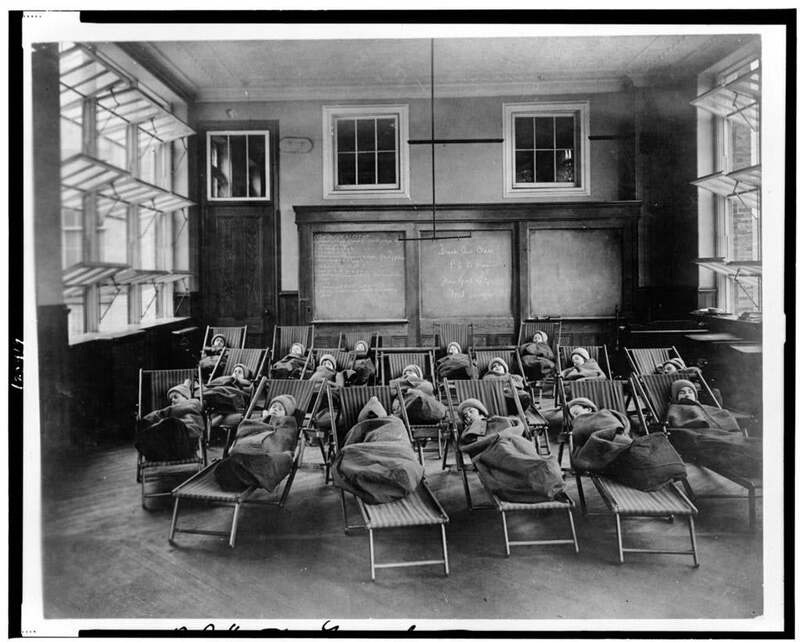 In these arrangements, children diagnosed with pretuberculosis, anemia, and malnourishment went to school in classrooms equipped with big bay windows that were always cranked open; “rooms” that were really tents with open sides; and airy structures located on the tops of buildings. Unlike other, more freewheeling outdoor education schemes, like the “forest kindergarten” Emily Bazelon recently described in Slate, the open-air school generally maintained the traditional classroom layout, requiring reading, writing, and arithmetic from students who sat at desks. The whole thing just happened en plein air. The fresh air and sunlight was thought to invigorate the students, supercharging their metabolisms and allowing them to breathe freely. Historian Anne-Marie Chatelet writes that many open-air schools in Europe, where the idea originated and became popular enough to spawn five international conferences between 1922 and 1956, were purpose-built for the summer months. 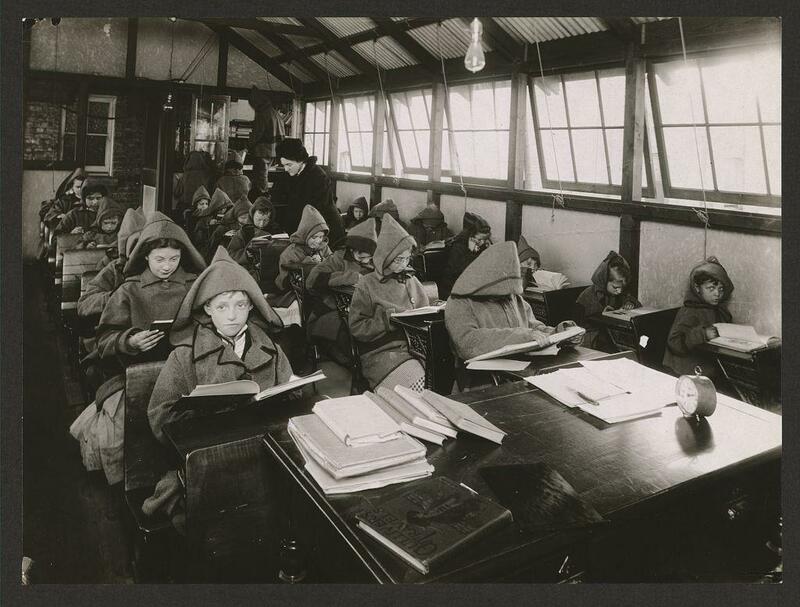 Some American and British schools, however, opened windows and walls of the classrooms even when it was chilly. The open-air school inspired a custom-built “sitting-out bag,” which swaddled children who had to study in cold temperatures. These photos are part of a collection assembled by open-air schools advocate Louise Dunham Goldsberry, who heartily believed in the idea. The Goldsberry collection, which comprises around 2,500 images of open-air schools, is now at the Library of Congress. Correction, December 20: The original version of this post misstated the location of that “forest kindergarten” as Sweden. The true location is Switzerland. “Fresh air class – Public School #51 – Manhattan, NYC – Rest hour.” Anonymous photographer, 1911. Open Air School, on roof of Mary Crane Nursery, Chicago. Photographed between 1900 and 1920 by F.P. Burke. 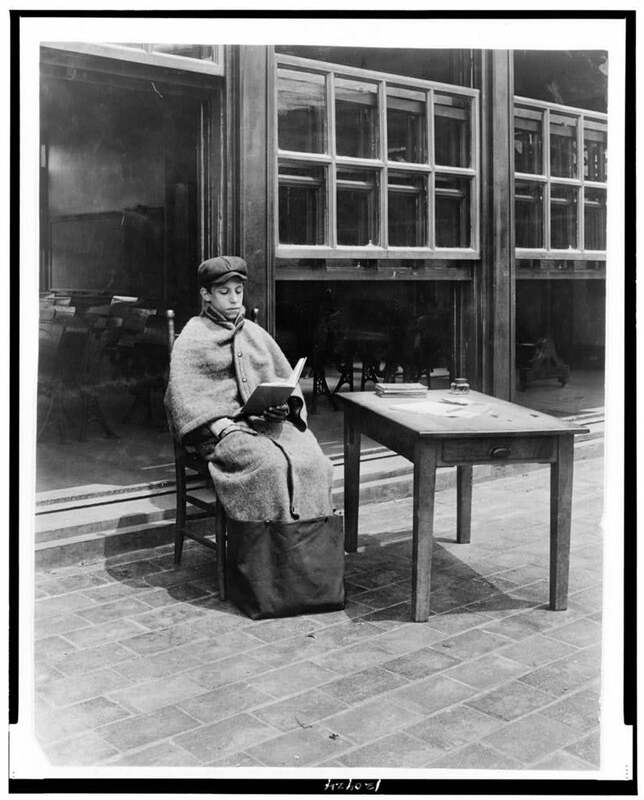 “The sitting-out bag used in open air school in New York and elsewhere.” Jessie Tarbox Beals, between 1900 and 1920. 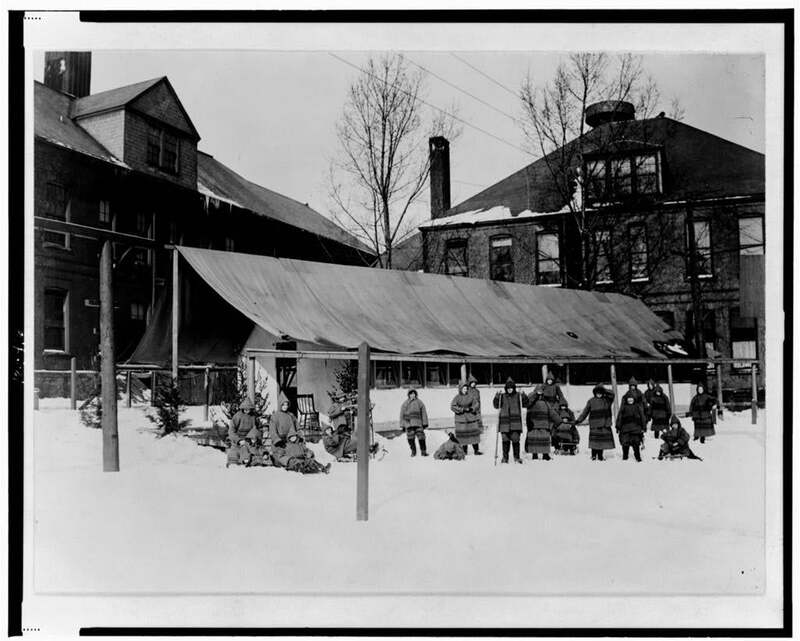 “Children, some with sleds, outside in snow, in front of open-air school, Rochester, New York.” (In other words: That tent was their classroom.) Anonymous photographer, between 1900 and 1920.